Behold the harvest! Have you ever experienced the joy of sharing the gospel with people in another country? Have you felt the encouragement of believers from other lands expressing gratitude to you for bringing ministry tools and sharing your faith with them? For those who have traveled to foreign fields, you know the humbling joy of listening to God’s people abroad share their love and life with you. That experience never gets old and once you’ve experienced it you long for God to open another opportunity for cross-cultural ministry to you. Well, here is your opportunity. Every summer, Southeastern students have traveled to various mission fields around the globe. This year, we are making plans to go on a ten-day ministry trip to Moldova, Romania and possibly Israel. 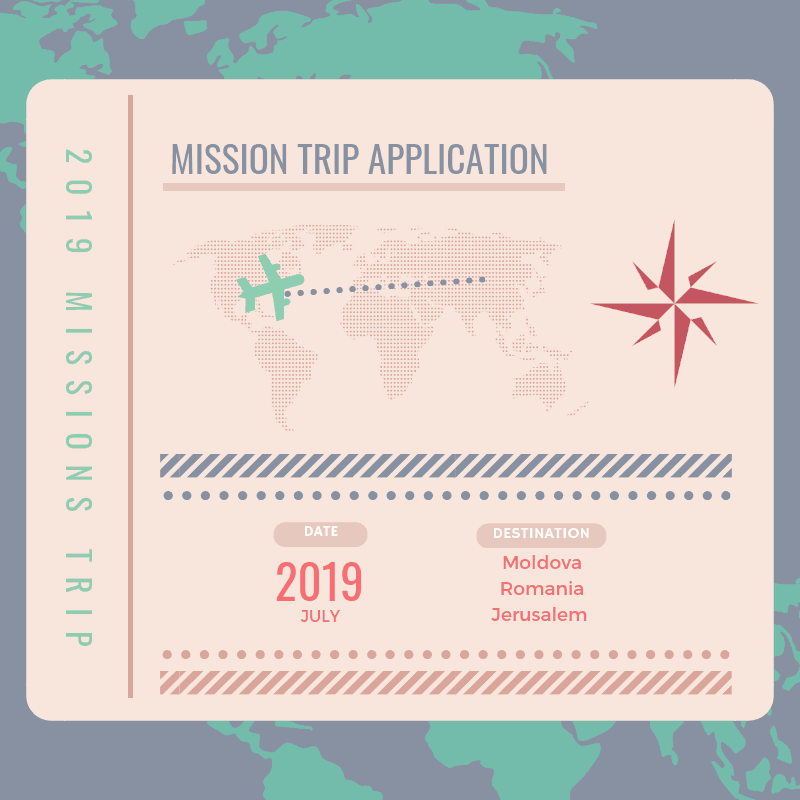 July 4, 2019, our mission team will board a plane in Raleigh headed to Moldova. We will sing, preach and minister in numerous churches and mission churches. We will hold a few crusades and serve in a Christian camp ministry. Moldova and Romania are experiencing the move of God that gives one the feeling that they are experiencing a modern-day Book of Acts playing out before one’s eyes. ANNOUNCEMENT: High school juniors and seniors who qualify by submitting an application and having it approved are invited to join us on this exciting mission trip. Steve & Cindy Berry, President Ange, and Ms. Sarah Marcum will be the sponsors for this trip. You will enjoy some special scenic places that are not part of an average trip as well as benefit from the many special relationships that have been fostered through the years. 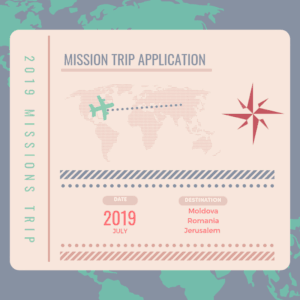 If you are interested in being a short-term missionary this summer, please click on the link below and begin answering the survey. For additional questions, you may contact Bro. Steve Berry at sberry@sfwbc.edu or Ms. Sarah Marcum at sarah.marcum@sfwbc.edu. Note that the finals details are still being determined. The complete cost of the trip has not yet been finalized, but one can expect to pay in the neighborhood of $3,500.00 – $4,000.00 for the trip.